My neighbor invited me over this weekend and as usual I asked… What do you want me to bring? 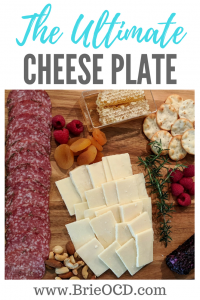 Immediately she said, your famous cheese plate! I usually buy all of my meat, cheese and crackers at Costco and Trader Joe’s. They both have the best prices and selection. If you are looking for more variety and smaller serving sizes, then stick with Trader Joe’s! 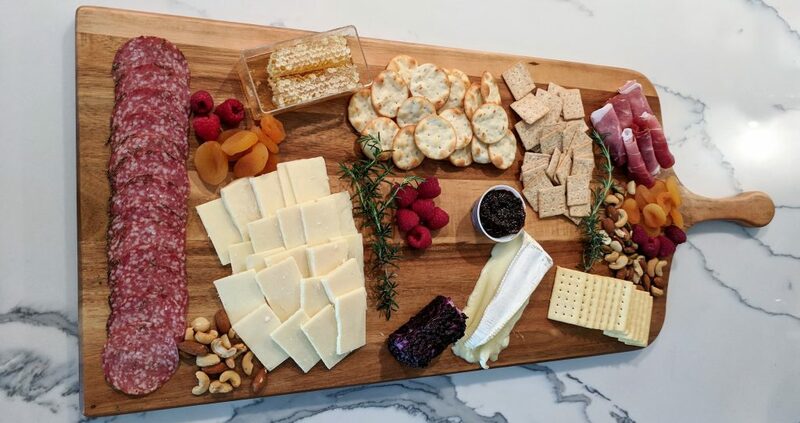 I already had my favorite Cabot extra sharp cheddar from Costco and my local Temecula honeycomb but that was not enough to make the ultimate cheese plate so I headed to Trader Joe’s! They have an amazing cheese section and its fairly priced. I didn’t want to head to Costco on Saturday morning (I’m not that crazy!) so I stuck with Trader Joe’s for all of my needs! Fruit – berries, grapes (whatever is in season) OR I will pick some dried fruit. Honeycomb – honeycomb is DELICIOUS on extra sharp cheddar. You can choose whatever cheese, meat, crackers that you prefer! I switch it up all the time! Again, variety is the spice of life! Get creative and pick a couple in each category. It is sure to be the hit at any party!